Rugged design meets a smooth ride in the 2019 Toyota 4Runner. This mid-size four-door SUV offers impressive capability and seating for five or seven with a touch of refinement. Only one model is available, but it’s all you need for any journey. Capability is evident in the rugged styling of the 2019 Toyota 4Runner. 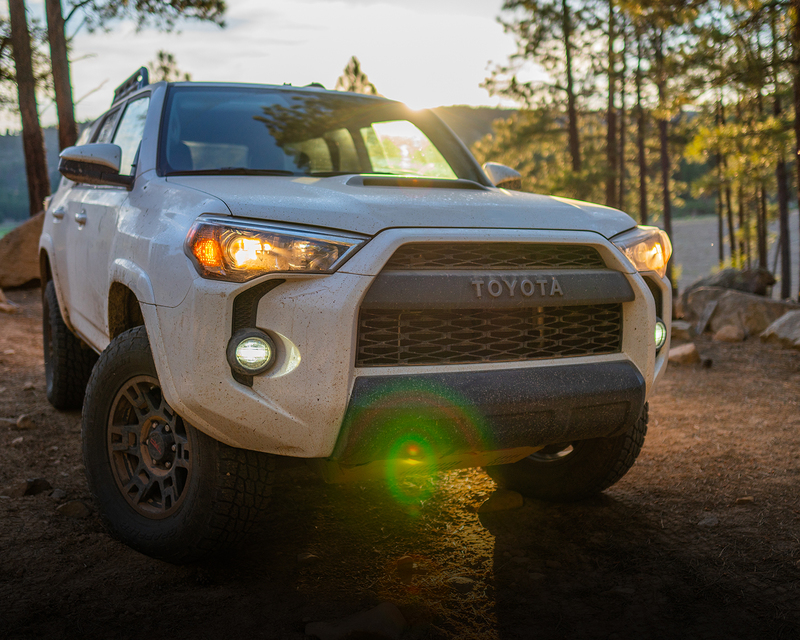 From the aggressive grille with the Toyota brand emblazoned on the front to the muscular curves of the wheel wells, this SUV is ready to go off-road. Running boards and roof rails enhance the practicality of the model while the power moonroof improves the driving experience. 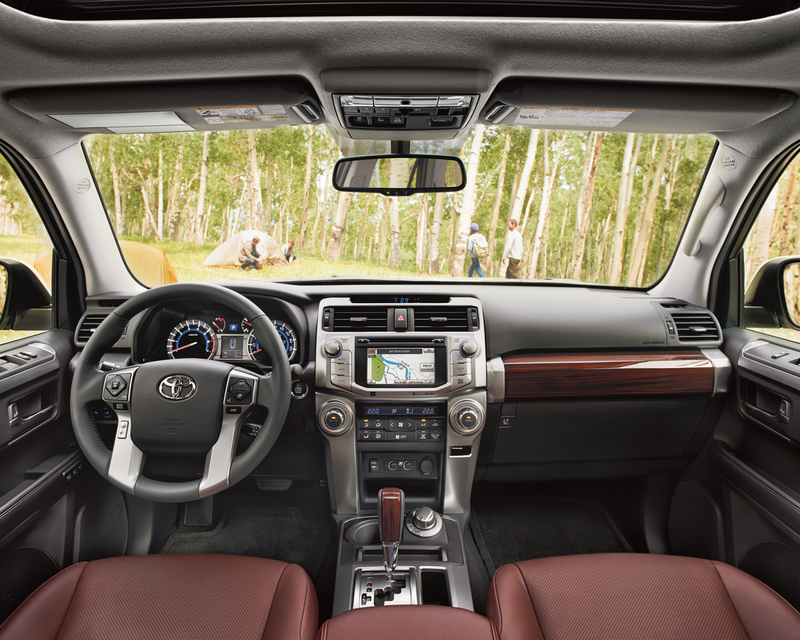 Relax in a comfortable cabin with heated front seats in the 2019 Toyota 4Runner. Available leather seats create a sense of refinement in the space while reclining second-row seats ensure your passengers are ready for any trip. 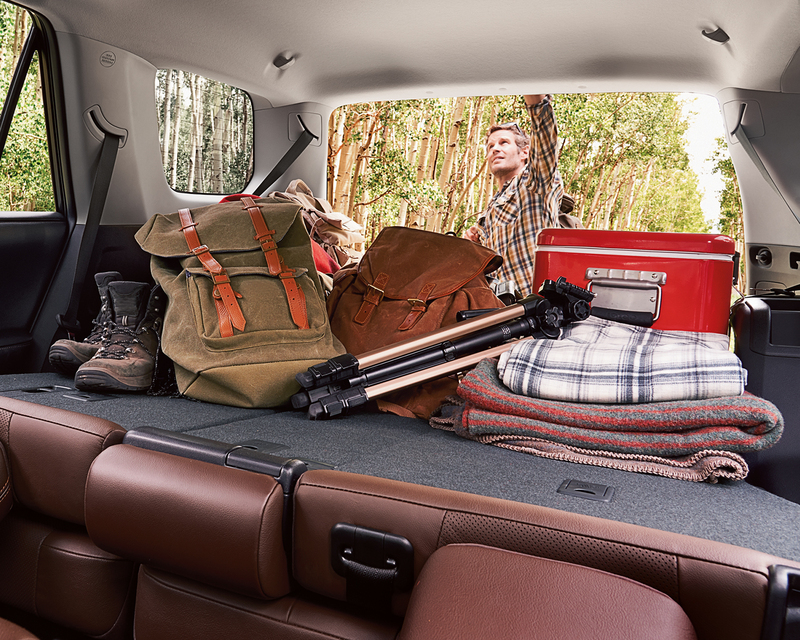 Fold down the seats with just one touch to expand your cargo space. Always be informed in the 2019 Toyota 4Runner with a 6.1-inch touchscreen and infotainment system which includes integrated navigation and Bluetooth. Trust the backup camera to help you back out of parking spaces and avoid obstacles. Add the smart key system while keyless entry makes getting started on your way simple and straightforward. Enhance the 2019 Toyota 4Runner with the best accessories. Keep this SUV looking like new with the Pro Series paint protection film, which helps prevent dents and scratches from ruining the paint. Thanks to a cargo liner, you can prevent dust and water from damaging your cargo area. 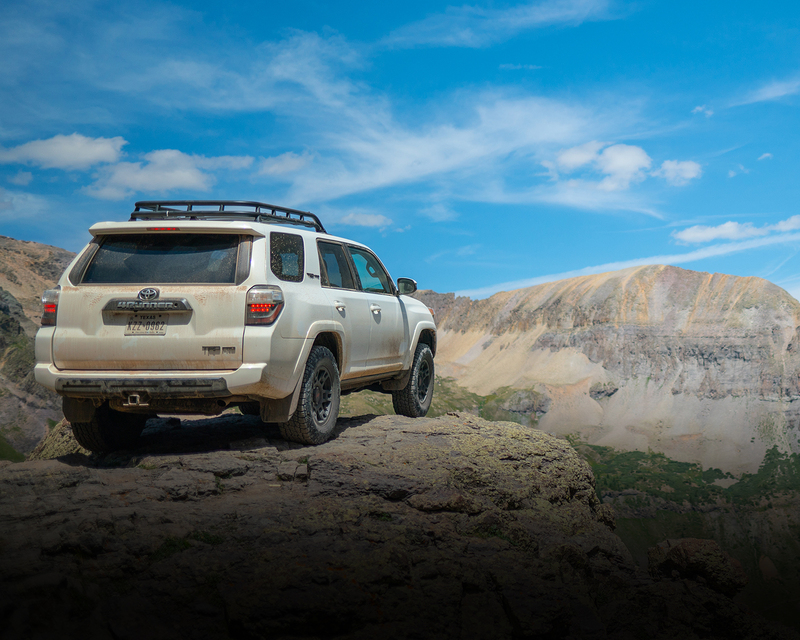 All Toyota accessories selected for the 4Runner are designed to work with your model. Thanks to a powerful V6 engine, the 2019 Toyota 4Runner boasts a towing capacity of 2,268 kg with a part-time 4×4 configuration to take you off-road. This engine is paired with a five-speed automatic transmission for smooth handling. With features like vehicle stability control and hill start assist, you can be confident regardless of what lies ahead. The 2019 Toyota 4Runner is backed by a longstanding tradition of excellence. Feel secure no matter where you are headed in the 2019 Toyota 4Runner with the latest safety features. Feel confident as you travel in the 2019 Toyota 4Runner with an exceptional Toyota warranty. Take the 2019 Toyota 4Runner downtown, go off-road or plan a trip across the country. With this SUV, you can go anywhere with peace of mind. Comfort and capability go hand in hand while style and safety are never a second thought. Discover how the 2019 Toyota 4Runner will fit in with your active lifestyle when you stop by your local Edmonton Toyota Dealer – Gateway Toyota. Come on in and check out the models we have in stock and pick out your new set of wheels with the help of the team at Gateway Toyota.